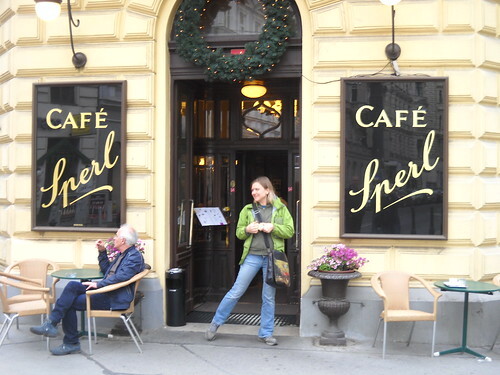 Café culture in Vienna is now some kind of UNESCO heritage thingy. All I know is that Hitler loved the cafes. 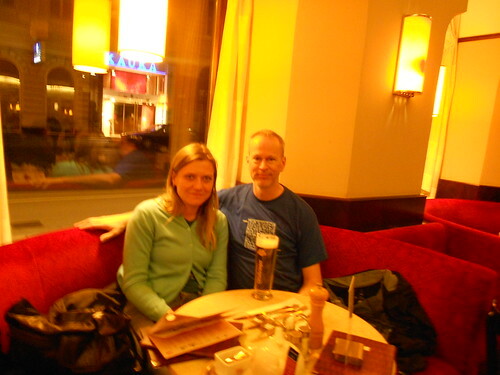 We had already been to his favourite earlier that day: Café Sperl. But I didn't have a beer, so I'm not going to count it. But here is a photo. Café Museum has a beautiful interior, and we are inspired to recreate it when we renovate the sun room of our Carrick Street home. 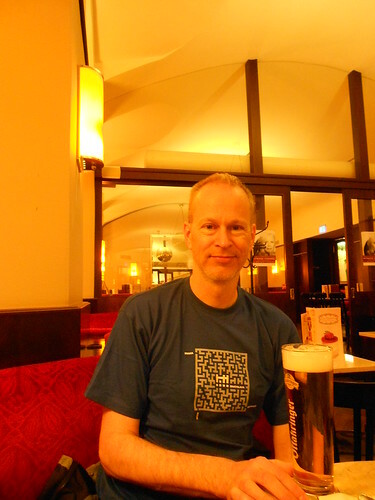 I drank an Ottakringer Helles, a fine Austrian beer.